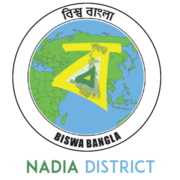 Nadia District Recruitment 2019 - Job notification for Programme Manager Posts in Nadia District, Nadia, West Bengal. Applications are invited by Nadia District. West Bengal on or before 05 Mar 2019 05:00 PM for 2 vacancies. 2 (a) Graduate in any discipline; candidate having degree in Masters of Social work will be given preference.